We’re certain you’ll discover your distinctive retreat among our variety of floor plans at Henson Creek Apartment Homes. There’s room to stretch out and relax with large floor plans, ample storage, and a separate dining room. We also offer a community clubhouse where you can screen a movie with friends in the theater. Whether you are taking it easy at home or entertaining guests at the community clubhouse, you’ll appreciate features and amenities designed to enhance your living experience. With online services, you can pay your rent online as well as submit resident feedback or a service request, update your vehicle or contact information, search the local area, or catch up on community news. 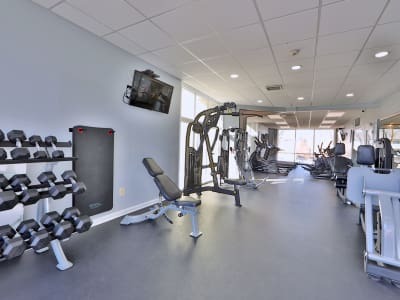 It’s a convenient way to stay connected to your community at Henson Creek Apartment Homes. "Minutes to The National Harbor, MGM, DC, VA, I-495, I-95 & 295"
Contact our leasing office in Temple Hills to learn more about lease options and availability of one, two, and three bedroom apartments for rent near Henson Creek Park.